How do you know if a journal is peer reviewed? 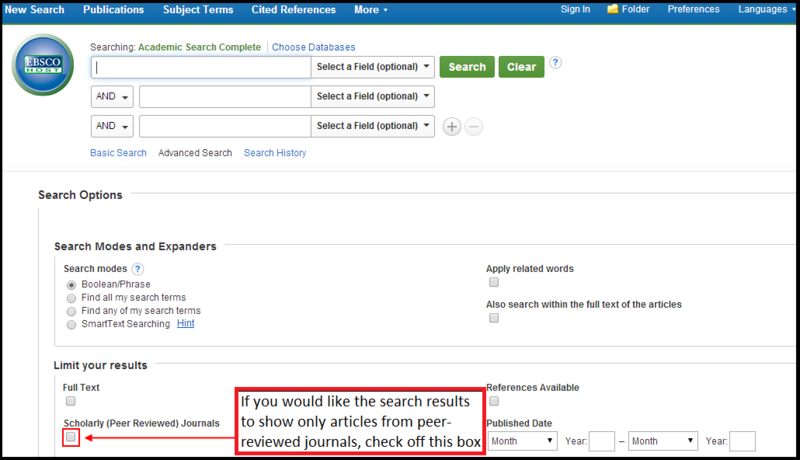 When searching for articles in an online database, it is sometimes possible to limit results to those from peer-reviewed journals. This option normally appears on the initial or advanced/expert search page.